 Former Cardinals safety Quentin Harris begins his 12th season in Arizona’s scouting department and seventh as Director, Pro Scouting after being promoted in May, 2013. Originally hired in June, 2008 as a pro scout, Harris was first elevated to Assistant Pro Personnel Director in 2010. A free safety for four seasons with the Cardinals (2002-05), Harris began his scouting career after finishing his NFL playing career with the Denver Broncos in 2007. Harris was signed by the Cardinals as an undrafted rookie free agent in 2002 out of Syracuse and appeared in 54 games (six starts) over four seasons. He led the Cardinals in special teams tackles for two consecutive seasons (19 in 2004, 24 in 2005) before signing as a free agent with the New York Giants in 2006. After being waived by the Giants following training camp, Harris signed with the Broncos later that season and appeared in six games. He finished his NFL career with 50 tackles (42 solo), a sack, an interception, five passes defensed, a forced fumble, a fumble recovery and 58 special teams tackles in 60 career games (six starts). Harris was a four-year starter at free safety for Syracuse where he finished his Orange career with 327 tackles (183 solo), four forced fumbles, four fumble recoveries and 10 interceptions in 42 career games. Harris left Syracuse ninth in school history for career INTs while also being chosen as an honorable mention All-American, first-team All-Big East conference selection and a second-team choice from the conference’s coaches as a senior in 2001. Harris was an honorable mention All-America selection at Wyoming Seminary Upper School in Kingston, PA and received a bachelor’s degree in Information Studies from Syracuse in 2001. Harris and his wife Tara have a daughter, Aliyah, and two sons, Amani and Elijah.